Frankenstein's Monster and Jack the Ripper. Two great tastes that...go together? 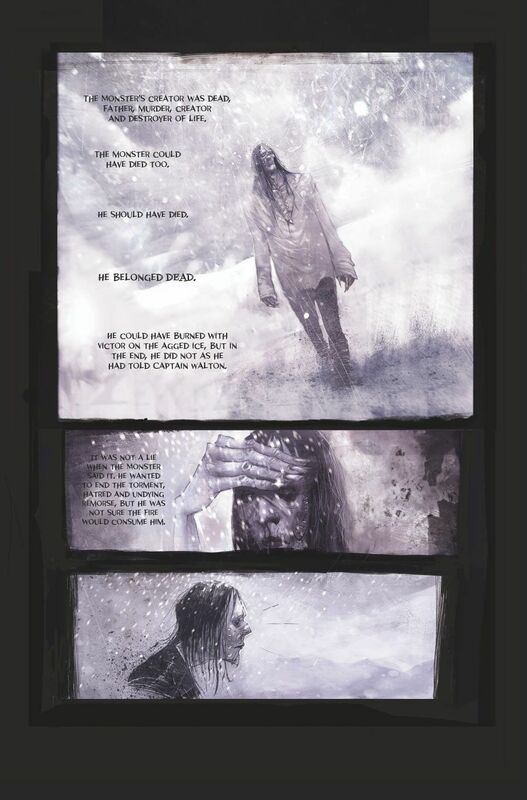 If Steve Niles has anything to say about it, they will in his new comic entitled Monster & Madman. Illustrated by Damien Worm, the three-issue mini-series explores the secret history between the two legends, one real and one fictional. Monster & Madman begins some time after Mary Shelley's classic novel. The monster is roaming through the world without any real purpose. He's a mixture of parts from other people, but he's become a unique individual. Niles explores what kind of soul or memory the creature can have when he consists solely of pieces from others, including the brain. From time to time he gets flashes from a life he's never known before, tapping into the dead man's brain pulsing within his skull. His naïveté leads him to a shipyard where a wily captain sees how he can take advantage of the monster's brute strength. There's some interesting philosophical ideas brought forth here. Is Frankenstein's monster his own person? Or is he just a copy of a copy, a rough outline that somewhat resembles a man? He wants to be alone but he is also struggling to figure out who he is. Plus, he seems to be immortal, but he thinks that he's not even good enough for death. There's a line in the book that says “He was not sure death would not have him. His very existence mocked it. Why would death take him?” That's one emo monster. Several of these themes were also seen in Frankenstein: Alive, Alive!, another comic written by Niles dealing with the same character. 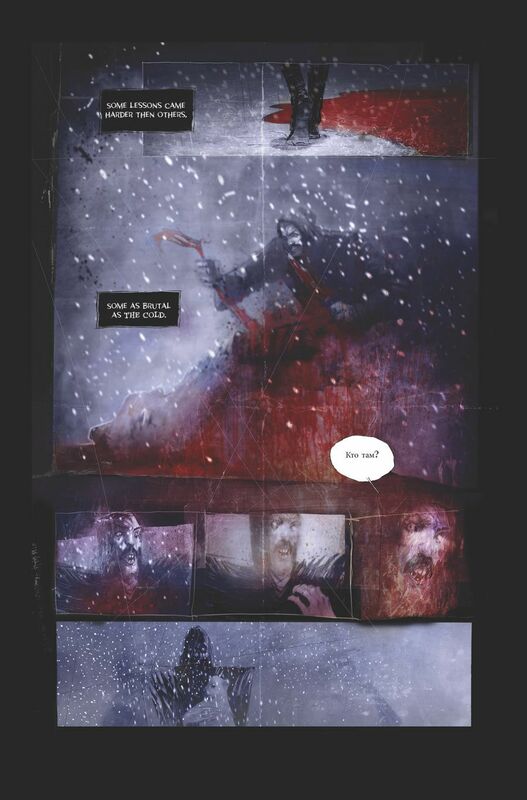 Damien Worm's artwork has a terrific layout to it, with no two pages looking alike. The comic often looks like something you might have just found while digging through a pile of ancient texts. Some panels look like they were torn up or aged, similar to the monster himself. 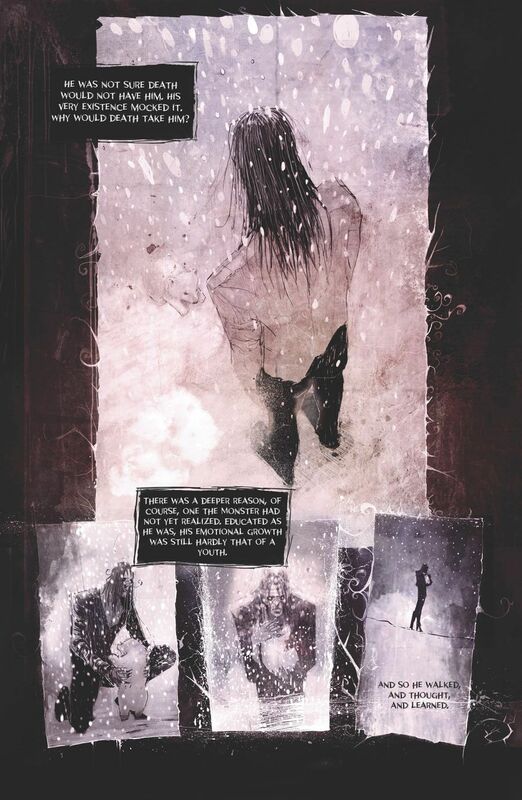 Worm's style reminds me a bit of Ben Templesmith's, which is certainly not a bad thing. There are some rough parts around the edges though, causing the characters to occasionally almost disappear behind the artistic flare of the panel. It can sometimes be a little more style than substance in that case. Worm also provided all three covers for this issue, including a convention exclusive of a savage Jack the Ripper wielding a blade with Frankenstein's monster reflected within it. The first issue of Monster & Madman deals almost exclusively with the former. The latter's story looks to pick up in part two. With the creature in such a doom-and-gloom mood, I can only imagine what someone like Jack the Ripper can do with such a powerful individual.